Now you can print all the Group A, B and C coupons to file away for later. These coupons will be included in our lists for 28 days after they disappear. 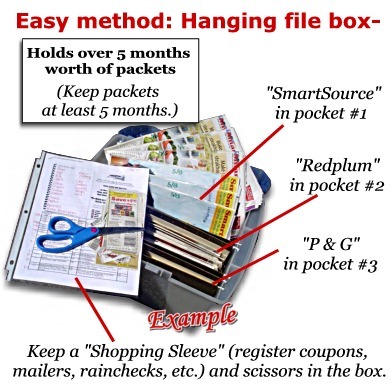 Need more Sunday papers for coupons? 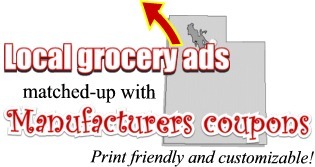 Call us to find out the best current deals for newspaper subscriptions where you live! Look for P&G packets, and ANY OTHER packet the "same size" as SS and Redplum as long as it has manufacturers coupons in it. There are sometimes 2 different Smart Source packets in one Sunday paper (When this happens we refer to each packet descriptively by the cover). Also, some Sundays may have packets with a different name on them (like Kellogs or General Mills), so pay attention and keep them all.